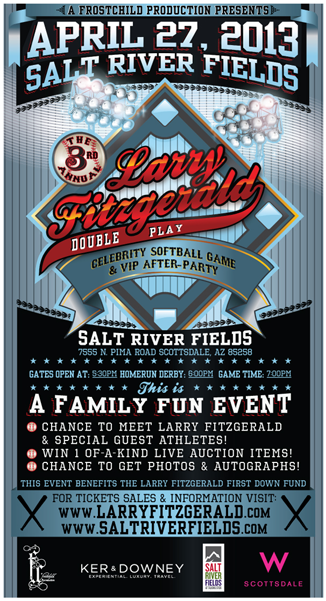 Join Larry at the 3rd Annual Larry Fitzgerald Celebrity Softball Game and VIP After Party. The game will be held at Salt River Fields in Scottsdale, Arizona where families in attendance will have an opportunity to participate in activities and meet the players. 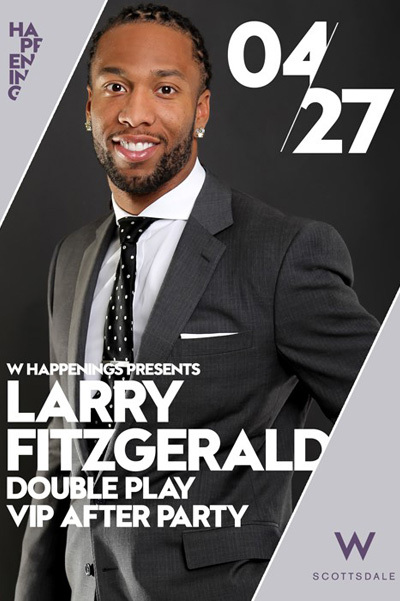 After the game, the official VIP After-Party will be held at The W Hotel in downtown Scottsdale, AZ to host special guests, players, sponsors and attendees.